Hi ladies having trouble buying boots that have a comfortable fit? Well here is the answer! 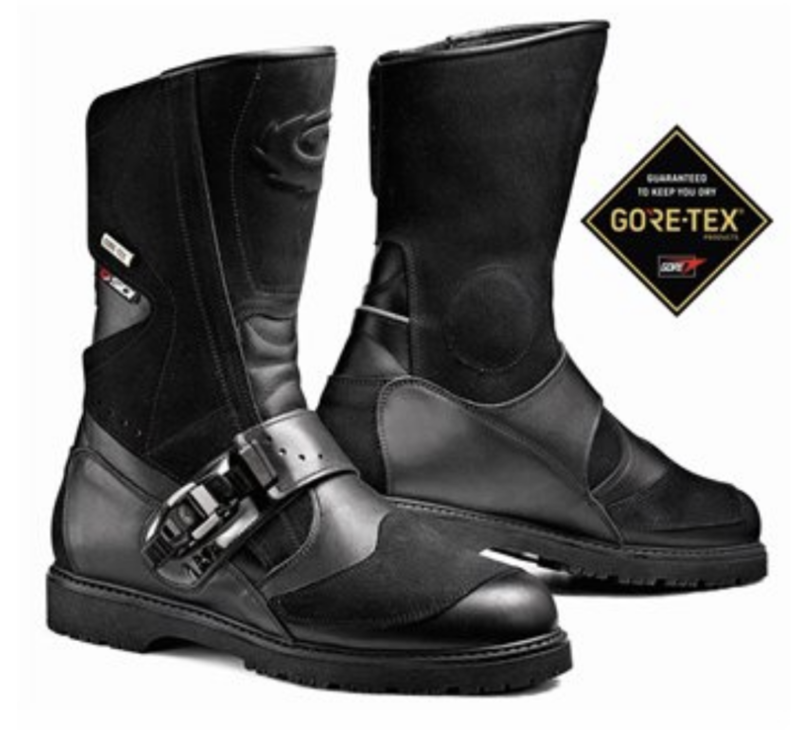 I had been looking for a good motorcycle boot for about 2 years as I couldn’t find a pair without zips. I have rather large calves and was finding it difficult getting a pair that would fasten. After a long search I ended up buying the Sidi Canyon GTX Boots. Now I will say that they were expensive at just over £200, but for me it was money well spent. I wanted a robust comfortable boot that I could wear whilst walking and that would keep me dry in a downpour as you know what the Scottish weather can be like. The boots are leather and are ideal for on or off-road adventure and touring riding and I’ve found them to be practical for every day riding. I like the look of them too, with the suede panels. There is a waterproof yet breathable Gore-Tex membrane that keeps your feet dry and the boot comes with a lifetime Gore – Tex waterproof guarantee. The boot is 100% waterproof and will be replaced if it leaks. There is a Velcro patch to open and close the boot with a Gore-tex inner gator to stop water getting through the Velcro. I found the boot to be comfortable straight away. It comes with a removable arch support which gives you further comfort if needed. The liner is also comfortable. There is a ratchet buckle to the instep that keeps your heel secure. For changing gears there is padding in the right areas. Protection wise there is a shin guard, protection to the calf area, the toe is reinforced and the heal and ankles have protected cups. The rubber sole has lots of grip and I found it comfortable to walk in. All in all, the GTX is a good looking boot with good supportive and protective features and I’ve found it to be a reassuring all round boot.